How much is Georgia Engel Worth? Georgia Engel Net Worth: Georgia Engel was an American actress who had a net worth of $8 million at the time of her death in 2019. Georgia Engel was born in Washington, D.C., in 1948. She and studied at the University of Hawaii at Manoa. Engel made her acting debut on stage, appearing in a handful of productions with the American Light Opera Company before moving to New York City in the late '60s. She made her Broadway debut in "Hello, Dolly!" as Minnie Fay. In 1972, Engel landed the part of Georgette Franklin Baxter on "The Mary Tyler Moore Show". She received two Emmy Award nominations for her part. In 1977, she and Betty White created "The Betty White Show", which ran for one season. Engel also appeared on "Goodtime Girls", "Jennifer Slept Here", "Coach", "The Care Bears Movie", "Passions", and "Everybody Loves Raymond". 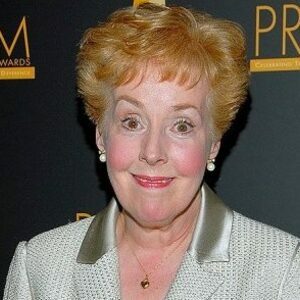 She earned Emmy nods for her guest roles on "Raymond" and "Passions". Engel received a BAFTA Award nomination for Best Supporting Actress for "Taking Off". She also appeared in "Papa Was a Preacher", "The Sweetest Thing", "A Love Affair: The Eleanor and Lou Gehrig Story", "The Day the Women Got Even", "Open Season", and "Dr. Dolittle 2". Engel continued her stage career during the mid-2000s, appearing in Broadway's "The Drowsy Chaperone" and various other productions. Georgia Engel died on April 15, 2019 at the age of 70.